Our range of Orangeries and Glazed Extensions combines the needs of modern living with high security PVC-U windows and doors. They also carry the highest energy efficiency ratings. You may choose the Livin’ room Orangery with the well proven Ultraframe Classic Roof System that we use for all of our Conservatory installations. It then adds an engineered steel framing system internally, which is plastered to give a perimeter ceiling all the way round the Classic roof to give it the aesthetics of an Orangery. 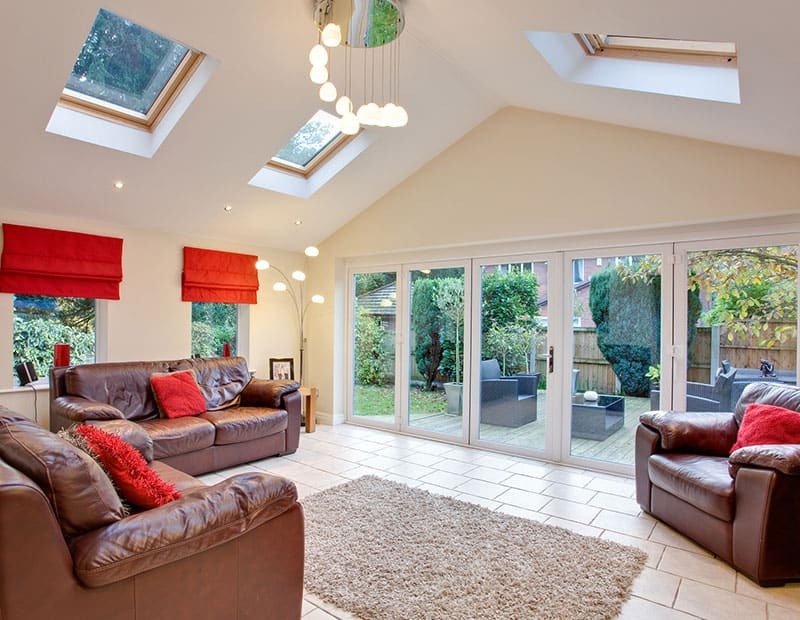 It combines all the benefits of a conservatory in terms of light and space but adds the solidity of an extension. You may choose the solid Livin’ Roof, incorporating one, or a number of, glazed panels that allow daylight to penetrate deep into your room, making the space instantly brighter. It can deliver a magnificent vaulted ceiling and incorporates the Live In Design Livin’ Room internal pelmet around the perimeter for downlighting. We install our Extensions and Orangeries across Eastleigh, Southampton and Winchester using only high quality materials manufactured in the UK, for any enquiries regarding our services please contact us today. Loggia is a modern building system that provides the best way to build the best rooms. It builds stunning extensions, replaces the traditional conservatory and makes orangeries affordable. Beautiful, comfortable rooms all year round, that add value to your home and everyday living. Combining the very best of British building excellence with a generous helping of Italian inspiration, Loggia is, quite simply, a revelation. A unique building concept that creates beautiful extensions with revolutionary engineering, that harmonise perfectly with any home design. The addition of a Loggia extension will improve the value of your home significantly more than a traditional conservatory, making it a sound financial investment too. We can install across the areas of Winchester, Hampshire and Southampton. Loggia columns are super-insulated and precision engineered, with a U-value of only 0.15 W/m2 Degree C, making them twice as efficient as a normal insulated cavity wall and 10 times more effective than typical window glazing. Columns can be sited in a number of places around the perimeter – at 90 degree external corners, in-between frames, either side of door openings or at the abutment to your property. The design of the columns allows for seamless integration of side windows and doors and masonry elements. Internally, Loggia’s construction is just like a real room, with a plastered finish just like traditional masonry. 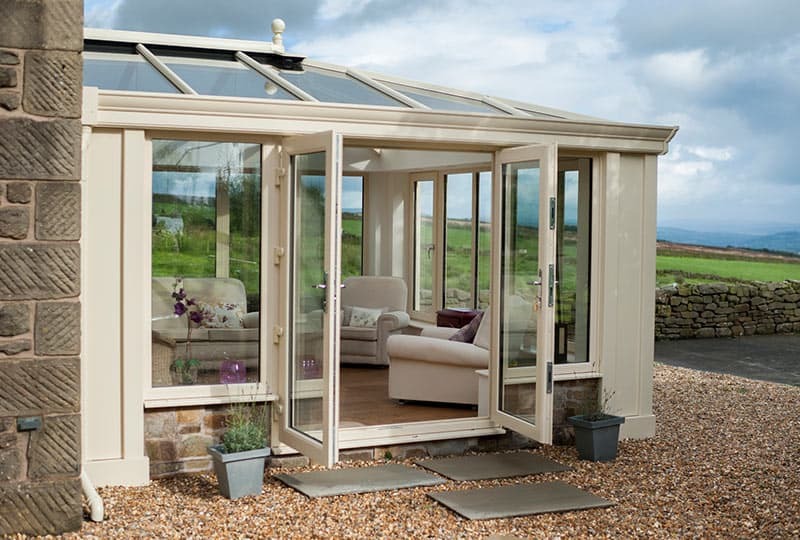 With a range of options available, you can achieve exactly the style of Loggia you want. Available in either large or small sizes to suit your building, there is also the option to mix or match to suit your chosen design.